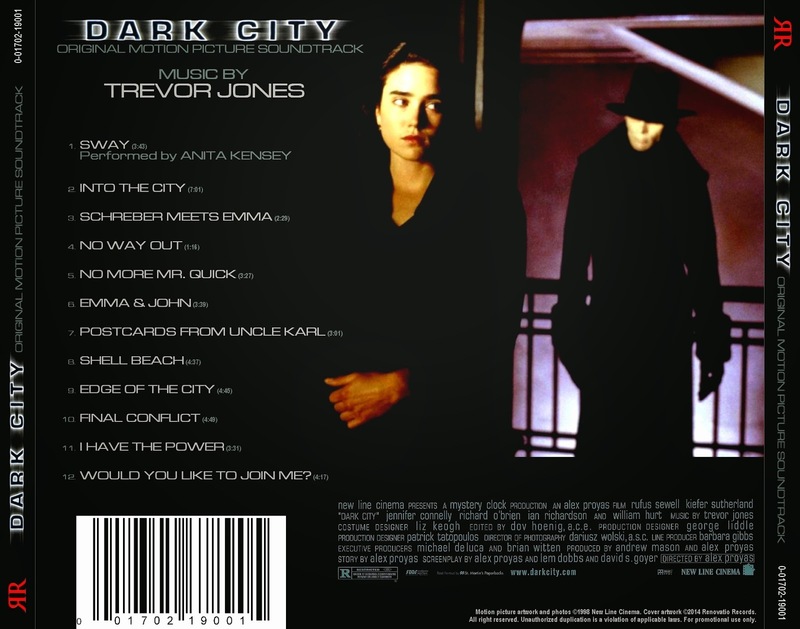 New from Renovatio Records: the score for Alex Proyas' 1998 sci-fi thriller Dark City, composed by Trevor Jones. 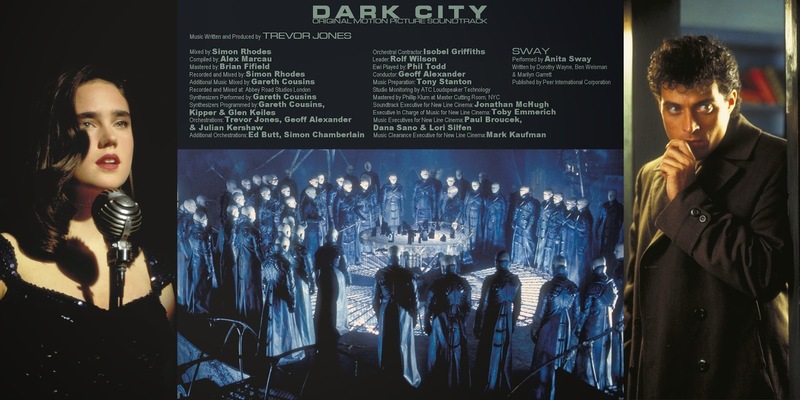 The film has an all-star ensemble cast that includes Rufus Sewell, Keifer Sutherland, Jennifer Connelly and William Hurt in the main roles, and has a dark and twisted plot surrounding the concept of dreams versus the awful truth, with a remarkable visual style and plenty of film noir elements. At the time of the release, the film received critical acclaim but was quickly cast aside and completely forgotten. 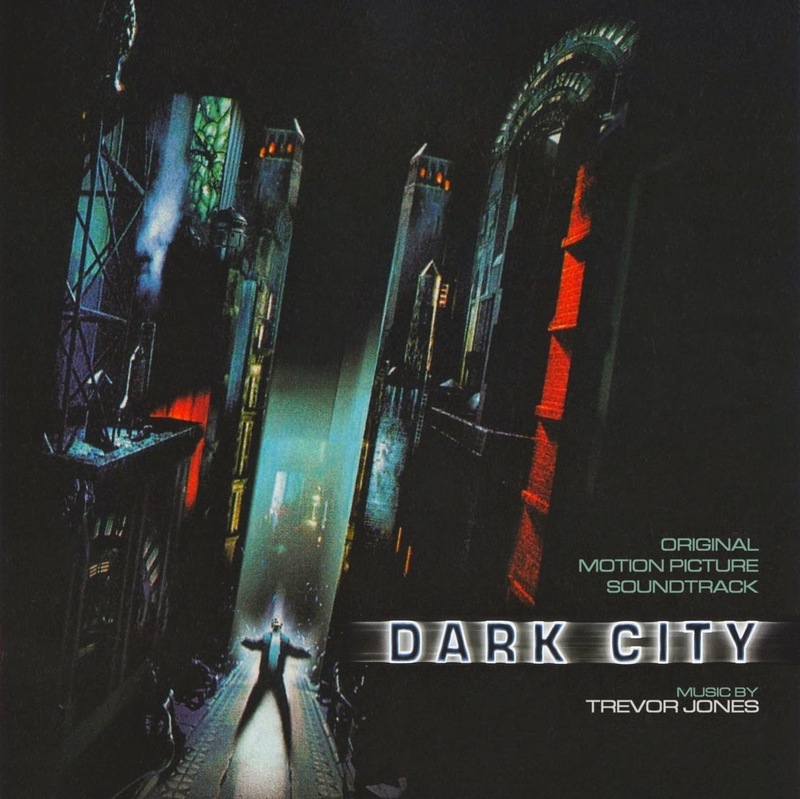 The same could be said about Trevor Jones' splendid score, which counts on several themes and motifs, along with an intricate instrumentation that includes a robust orchestra over accompanying synthesizers. 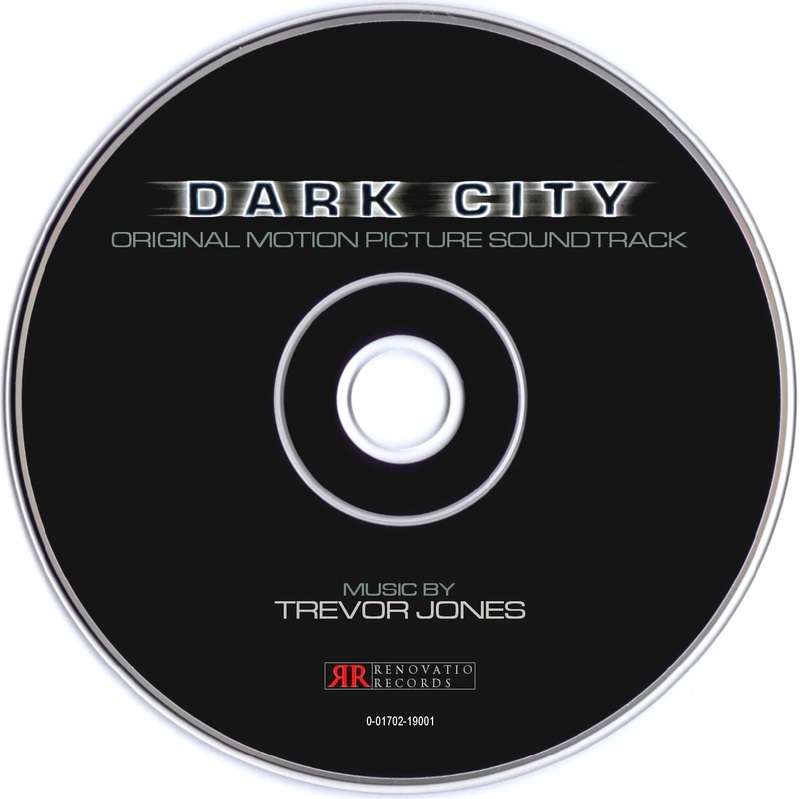 The score was released in 1998 by TVT Soundtrax in an album compilation that included as many songs as music by Jones, resulting in a soundtrack that would not satisfy the composer's avid listeners. 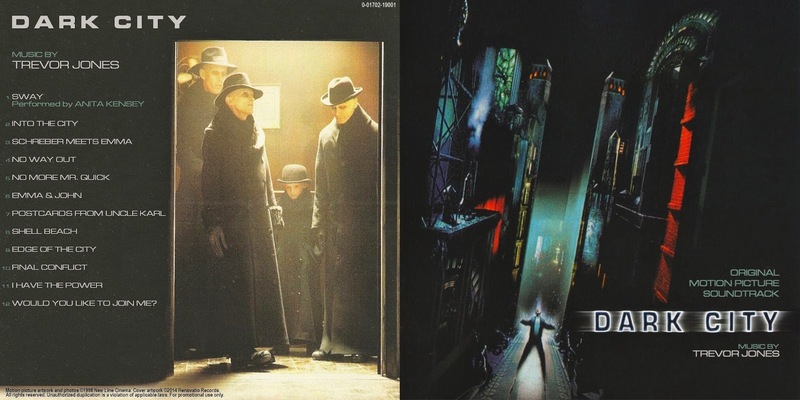 As expected, many expanded or complete bootlegs compilations surfaced years later. Renovatio Records brings you a new edition of this score, with a far better arrangement of tracks, previously unreleased material and Anita Kelsey's delightful take on "Sway", which we couldn't let out! Enjoy!